How to get your local government to pass an "April is Jazz Month" proclamation, get local media to publicize your JazzApril events and more. This discussion was recorded in 2013, but all of the advice is still quite relevant. You can view it here. City, town and other local governments can support Jazz April and recognize the important cultural, social and even economic contribution that jazz makes to their community. Local jazz fans and activists -- their constituents -- can ask that they do so. Officials might start the process, too. Build partnerships with their local jazz society and other members of the arts and music community in their cities to proclaim, to participate in, International Jazz Day April 30, 2013 and to celebrate the month of April as Jazz Appreciation Month. Issue a Mayoral or council proclamation or resolution recognizing April 2013 as Jazz Appreciation Month and April 30, 2013 as Jazz Day in their city or town. The Mayors Conference resolution contains good language about the significance of jazz to include in such statements, which could also include references to important local jazz figures and institutions. Financially support, or assist in the search for financial support, of local jazz performance, education, and other initiatives. 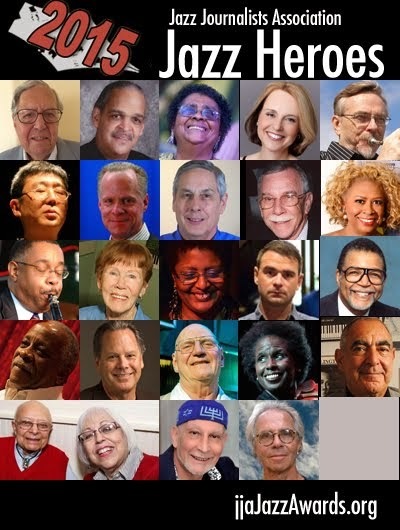 Every year, as part of the JJA Jazz Awards, the Jazz Journalists Association works with local jazz communities to name local "Jazz Heroes"-- "activists, advocates, altruists, aiders and abettors of jazz who have had significant impact in their local communities." 2015 Jazz Heroes will be announced on April 1 at the JJA Jazz Awards website.